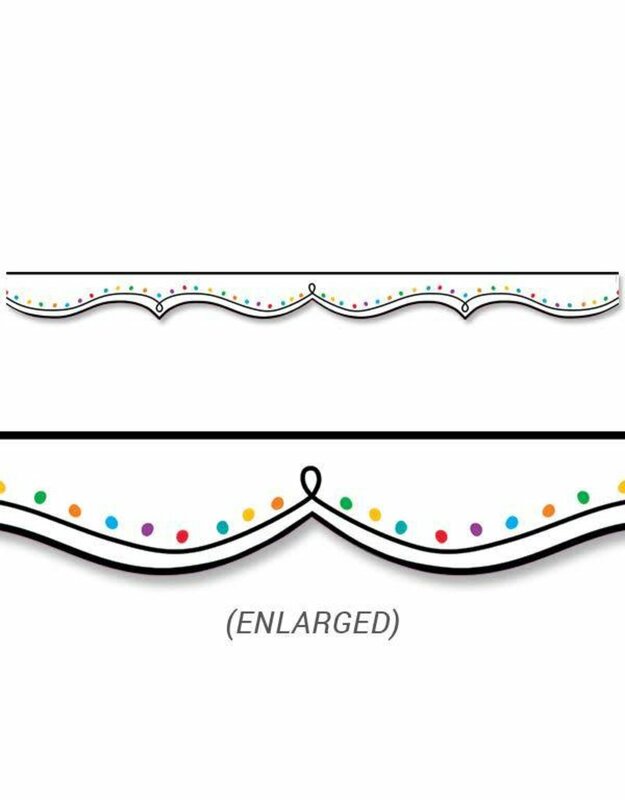 This unique Color-Dotted Swirl Border will trim any bulletin board display in style! Black flourishes and colored dots stand out against the crisp white background on this versatile die-cut bulletin board border that can be used not only in a classroom or at a school but also at an office, a church, a college dorm, or an employee break room. 35 feet per package Width: 2¾"